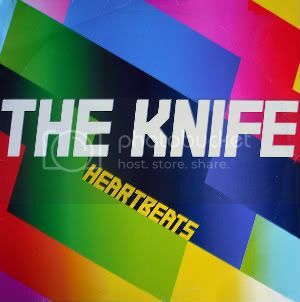 The Knife is Olof Dreijer and Karin Dreijer Andersson. They are based in Stockholm, and I reckon that this was their career highpoint. Yup Jose Gonzalez took the song even bigger with his acoustic version but they're both equally as good in my opinion. This is the CD single which includes the Rex The Dog Remix and the bonus track 'Afraid of You. Essential. The girl's got chops. Loved her on this and Röyksopp's "What else is there?"